The Supreme Court bench comprising the Chief Justice of India, T.S.Thakur, and justices A.M.Khanwilkar and D.Y.Chandrachud today heard the counsel representing different petitioners challenging the Centre’s demonetisation of high value currency notes as well as the Attorney General, Mukul Rohatgi, to frame questions for consideration. At the outset, Rohatgi told the bench that the bench’s initial proposal to categorise the petitions because of their large number, may not work as they are overlapping in their concerns. Yet he did so, after consulting senior advocate, Kapil Sibal, representing one of the petitioners. The categories suggested include those challenging the legality of the notifications, those relying on the ground of inconvenience, the grievances of cooperative banks, and those citing the violation of Articles 19(1)(g) and 14 of the Constitution. The Chief Justice then asked the counsel to help the bench to identify broad propositions, in the form of questions. The first question suggested is whether Section 26(2) of the Reserve Bank of India Act, on the basis of which the Centre issued the notifications on demonetisation, should be declared ultra vires of the Constitution. The second question is whether Articles 14, 19 and 21 stood violated by these notifications issued since November 8. Kapil Sibal argued that the notifications are both procedurally and substantively unreasonable. A major portion of today’s hearing centered around the district cooperative banks, many of whom challenged the demonetisation notification on the ground of discrimination. Kapil Sibal questioned the exclusion of these banks from exchanging old notes, and denial of their taking deposits or withdrawals. Because these banks are not authorised to accept deposits, their customers are moving away from them, he alleged. Kapil Sibal also contended that Section 26(2) of the RBI Act suffers from excessive delegation, and therefore, deserves to be struck down on this ground. At this stage, Rohatgi asked the bench to consider whether a political party could file a petition under Article 32 of the Constitution, as the CPI(M) has done in this case, and suggested that its maintainability must be clarified. 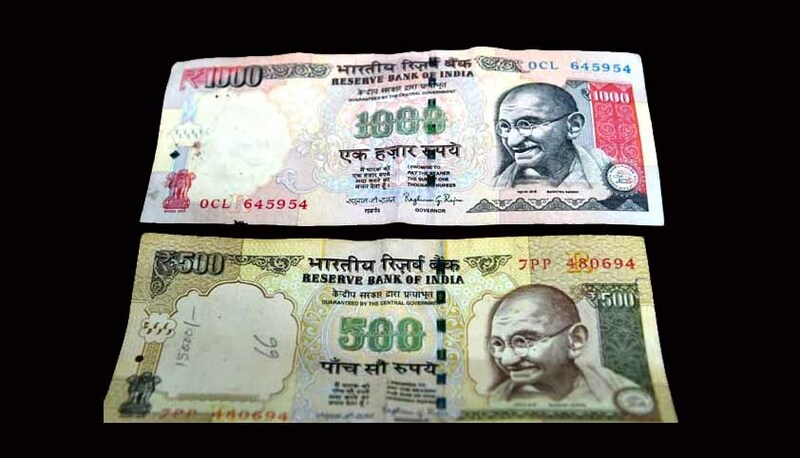 Another counsel suggested that the use of the Devanagri script in the new Rs.2000 currency note must also be examined by the bench for its compliance with the Constitutional provisions. Prashant Bhushan, representing one of the petitioners, contended that the notification, by forcing the people to spend their precious time in queues before the banks, to withdraw and deposit their money, deprives their livelihood, and access to food and health care. Kapil Sibal referred to the agonies of cancer patients, who, if deprived of cash to buy fresh medicines, stand the risk of relapsing into cancer again, after recovery. The Chief Justice observed that if it is discrimination, it is bad, whether it is the Executive or the legislature, which is responsible for it. Rohatgi suggested that some inconvenience for the people is inevitable, as recalibration of 2 lakh ATMs could not have been done in advance of the demonetisation announcement. He referred to the Government’s announcement of incentives to encourage digital and mobile banking, and expressed his view that the scope of judicial review in a matter like this is limited. Kapil Sibal told the bench that 85 per cent of the cash economy is not black. “Migrant labourers have no black money. How will they survive? He has a right to ask why he is not entitled to withdraw. How do we deal with legitimate withdrawal of legitimate money? Money is under trust with the bank. If enough money is not available, it is completely unreasonable. P.Chidambaram, counsel for one of the petitioners, contended that the Government has no option but to ration money. Giving data, he said the Government will not be able to replace note by note within the next six months. ‘35 per cent of ATMs have no money, they are dry’, he said. Chidambaram called the district cooperative banks as the lynchpin of the cooperative banking system. The Chief Justice then asked the AG whether the Government can devise a system to prevent the apprehensions about the district cooperative banks. “Through verification and declaration, you can ensure that what you call tainted money does not come in through the district cooperative banks”, Chief Justice told Rohatgi, who promised to consider the suggestion. However, the AG called the petitions filed by these district cooperative banks and their customers as misconceived. Senior counsel, Salman Khurshid asked the bench to determine whether demonetisation would fall within the realm of the policy, and therefore, beyond judicial scrutiny. Another senior counsel requested the bench to consider the relevance of the doctrine of legitimate expectations, and whether as customers of banks, people cannot expect to withdraw their money from the banks at any time, they want. The bench decided to resume the hearing on December 14 at 2 p.m. and asked the counsel to advance arguments on possible reference of the case to a five-Judge Constitution bench, as prayed by Kapil Sibal.